Workshop microscope W-AD for steel processing industry, machine construction, electronic and chemical industry. 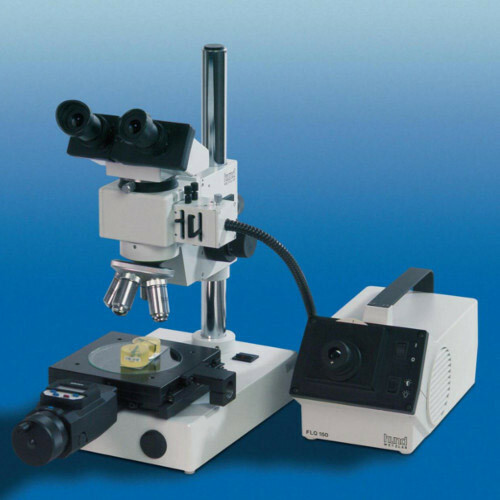 Microscopic investigations in the laboratory require a high flexibility of the microscope in order to meet the requirements for different workpieces.The W-AD is the ideal equipment for investigating larger objects or assembled units. Combined with coordinate measuring stages it is suitable for measuring structures, e.g. breadth and distance of strip conductors, diameters etc. With micrometer spindles with drum reading with a resolution of 0,01 mm or 0,005 mm or micrometer spindles with digital display with a resolution of 0,001 mm. Ideal documentation in combination with image analysis.